Our team of Savvy Sommeliers have done the ‘tough work’. We’ve been sipping & sampling the latest Rosé wines made across Ontario & each month during the summer, we will put together an assortment of the most refreshing wines for you to enjoy. Time to get your corkscrew ready to Clink & Drink Pink! We kicked off the summer with a Bouquet of Rosés in May (perfect for Mother’s Day gifts) then we call it Deck Party Packs as all summer long. To help you enjoy the Rosé wines to the fullest, our Savvy Sommeliers compiled the Rosé Report – below – with tasting notes, food pairing tips & recipes to serve with the wines we picked for the May parcel. There will be a completely different assortment of wines this month…and next month too! Several of these Rosés have just been released. And if you the coolest part…these wines are not available at the LCBO, rather they came straight from the winemaker to you. Our Savvy Sommeliers – Debbie & David – share their tasting notes for the featured wines. Part of 13th Street’s “Burger Blend” series, these fun and affordable blends are perfect for summer! This barely off-dry rosé combines Cabernet Sauvignon, Cabernet Franc, Merlot & Pinot Noir. Savvy Sommelier Tasting Notes: Beautiful, summery notes of strawberries and orange with a hint of red cherry. While there’s a bit of sweetness, there’s also bracing acidity – and it’s that sweet and sour affect that real makes this wine a pleaser. It’s crisp and citrusy. Suggested Food Pairing: Try this with a chilled cucumber soup on a warm day or enjoy it all by itself! One of the first wineries in Prince Edward County, Casa-Dea Estates Winery is making a big impression with this sparkling rosé wine. Just released, this bubbly can be enjoyed on any occasion – picnic, Happy Hour, or stash away for Thanksgiving (if you have to!). Here is a neat golden nugget to drop into conversation: Winemaker Paul Battilana was originally trained as a butcher, before he made the leap to winemaking after his curiosity transformed his career. And the wine industry is taking note as he was named by MacLean’s Magazine last year ‘as one of the Canadian winemakers to watch’. Savvy Sommelier Tasting Notes: Pretty in the glass, this sparkling wine is refreshing, bright, and reminds us of summer…all throughout the year. Light aromas of strawberry and juicy peaches, the acidity of this wine makes is perfect to start any occasion. Suggested Food Pairings: Chips. The salt plays with the bubbles of the wine and fireworks start off in your mouth. Try it! Care for a round of bocce? If you’re travelling to The County this spring, stop by Casa-Dea and try out this Italian version of lawn bowling on a hand-crafted pitch right beside the vineyards. Made even better with a cool glass of winemaker Paul Battilana’s Rosé. Savvy Sommelier Tasting Notes: Brilliant clarity in this pinky-peach concoction. Abundant aromas of wildflowers and strawberries, juicy peaches, even a floral whiff that might remind you of the delicate flower of Lily of the Valley. Top it all off with subtle hints of fresh herbs with a silky texture balanced out with measured acidity and a lengthy finish. Mama Mia – it is good! Made from 100% Pinot Noir grapes grown on their estate. Keint-He is a family run winery (Bryan Rogers in photo) focusing on making fine County wines using Pinot Noir & Chardonnay grapes. Savvy Sommelier Tasting Notes: The colour of candy floss, this is a beautiful, Provençal-style Rosé. Big flavours of strawberry and tobacco with a hint of jam, it’s dry and tart and big. This is a Rosé to serve to any friends who think all pinks are light and sweet. Suggested Food Pairing: Easily able to stand up to BBQ, try this with your favourite burger. The Pugli family emigrated from Italy bound for Niagara with plans to grow peaches on their large scale farm. Now 2 generations later, they have transformed the fruit growing business into a winery that it internationally renowned for quality wines. Savvy Sommelier Tasting Notes: Old World-style in pale peach flecked with bright orange. A nostalgic bouquet brings midway cotton candy and candied apples to mind. The wine’s high acid produces a lively ‘spritz’ effect on the palate, with flavours of mango, passionfruit and white pepper, and lingering herbs on the finish. Suggested Food Pairing: Crisp summer salads or grilled sausages would make a great match, or try your hand at making Fish Tacos. And another family run winery! Like Keint-He, the Westcott family are making a range of wines focused on Chardonnay & Pinot Noir grapes. Last year, they made the Delphine Rosé and it sold out in a matter of weeks. We are delighted to be the first to feature this ever popular wine. This year, the wine is made using a blend of Cabernet Franc and “just a little” Pinot Noir. Savvy Sommelier Tasting Notes: Aromatic, dry, and supple, there are notes of strawberries and orange, along with some bracing lemony acidity. The bright pink of the wine is a visual treat, and it looks every bit as mouth watering as it tastes! Suggested Food Pairing: Serve this with semi-soft cheeses like Gruyère and Havarti. This is simple to make and stunning to look at. This spring tart offers a vegetarian option for a picnic, appetizer or even brunch! Line 2 rimless baking sheets with parchment paper or grease. Set aside. In steamer or rack in saucepan, cover and steam asparagus until tender-crisp, 3 minutes. Chill in cold water; pat dry. Unroll each pastry sheet onto prepared pan. Spread evenly with mustard, leaving 1-inch (2.5 cm) border. Arrange asparagus, side by side and alternating ends, on mustard; top with cheese and pepper. Cut each into 6 to 8 pieces; serve warm or cool. In a saucepan, bring the stock to a simmer; cover and keep warm. In a medium enameled cast-iron casserole, melt the butter in the oil. Add the onion and cook over moderately high heat, stirring, until softened, 5 minutes. Add the shredded beets and cook, stirring, until the pan is dry, 12 minutes. Spoon half of the beets into a small bowl. Add the rice to the casserole and cook, stirring, for 2 minutes. Add 1 cup of the warm stock to the rice and cook over moderate heat, stirring, until the stock is nearly absorbed. Continue adding the stock 1 cup at a time, stirring constantly, until the rice is al dente and a thick sauce forms, about 22 minutes. Stir in the cooked beets, cheese and the 2 teaspoons of poppy seeds. Cook, stirring, until heated through; add a few tablespoons of water if the risotto is too thick. Spoon the risotto into bowls. Garnish with sliced beets and poppy seeds and serve. In a large bowl, mix turkey, panko, carrots, zucchini, onion, eggs, Italian seasoning, and salt until well combined; form into 1-inch balls. Heat olive oil in a large skillet over medium heat. Add meatballs and cook, turning, until browned, about 7 minutes. Add ½ cup chicken broth, cover and reduce heat to low. Cook until liquid is almost completely absorbed, about 7 minutes. Add remaining ¼ cup broth and increase heat to medium; cook, uncovered, until liquid is absorbed. In a separate pot, cook your favorite pasta. Once al dante, drain the water & place pasta back into the pot on low heat. Crumble in goat cheese & stir until melted. To help the melting, add white wine periodically until a creamy consistency similar to cream sauce that coats the pasta. To finish the sauce, squeeze the juice of one lemon into the sauce, toss in zest & gently stir. Plate with a mound of pasta topped with turkey meatballs. What is the price for June’s assortment? In this month’s Savvy Selections to celebrate Canada’s 150th, we are expanding our scope to include wineries from across the country – from coast to coast. We are SUPER excited to start this wine soaked trip across Canada with the acclaimed wines of Benjamin Bridge from the Annapolis Valley in Nova Scotia. The closest town is Wolfville – home of Acadia University. This family-owned winery dedicates itself to the production of world-class ‘méthode classique’ sparkling wines (winespeak: Champagne style) and aromatic whites. The vision of Gerry McConnell, the heart of his late wife Dara Gordon, and the commitment of his twin daughters Ashley and Devon melded to create an unparalleled success in ‘The Valley’. The McConnell-Gordon family, with their noted international consulting team of Peter Gamble & Ann Sperling (you’ll recognize her name from our features with Southbrook Vineyards & Malivoire Wines in Niagara), selected a well-protected micro-climate at the head of the Gaspereau Valley. They turned their attention to producing sparkling wines from classic Champagne grapes, unlike the pioneers of the early wine industry, who planted hardy hybrid grape varieties that could withstand the cool climate rigors. The result – Benjamin Bridge Brut Reserve 2004 outscored Roederer Cristal 2004 in a blinding tasting of 15 sommeliers and wine writers hosted by Canoe Restaurant in Toronto in August 2013! With their partner grape growers, the McConnell-Gordon family has gone on to make wine with other vinifera grapes, including Cabernet Franc and Riesling. They participated in the creation of the Nova Scotia appellation of Tidal Bay, a standard for vibrant aromatic white wines requiring rigorous adherence to quality, blending and taste. The goal of this appellation – to showcase the excellence of Nova Scotia’s best hybrid white blend. Yes, you get to taste a sampling of all these in this month’s Savvy Selections! Brut NV– an elegant bubbly wine, reflecting the particular style of Benjamin Bridge, to sip and savour or pair with appetizers, salads and light summer meals. Riesling 2015 – the sea breeze in a glass, this is silky yet lively and clean. Tidal Bay 2016 – a blend unique to Nova Scotia, light, bright and refreshing! An optional wine many of our subscribers asked us to include in their delivery is the signature Nova 7 – a lightly effervescent, low in alcohol with clean tangy & sweet fruit flavors that makes it an ideal sipping wine or a match for soft cheese or a lemon tart. This is the only NS wine currently available in LCBO Vintages so we did not include it in the Savvy Selections… however it quickly sells out. If you can’t find it in Vintages (LCBO product #256289) – let us know and we’ll order it for you… it is hands down delicious! More NS at your table . . . At anytime you would like more Benjamin Bridge wines, call us at 613-SAVVYCO (728-8926) or send me an email to debbie@savvycompany.ca and we will make the special arrangements for you. Gerry McConnell and Dara Gordon’s move to the Wolfville area in the late 1990s, when their twin daughters Ashley and Devon began high school, meant the commute to their law practices included driving through the Gaspereau Valley. On this daily drive, Gerry noticed Hans Christian Jost – one of the pioneers of the Nova Scotia wine industry – planting his Gaspereau Vineyards estate. Through their work Gerry and Dara, had also been to some of South Africa’s acclaimed wine regions, and had tasted some of the excellent sparkling wines from the Stellenbosch appellation. As he drove, the proud Maritimer mused “What would it take to produce world-class wines in Nova Scotia?” That question was about to be answered when in 1999, they purchased the 60-acre Westcott farm. Located at the head of the Gaspereau Valley, on a south-facing slope beside the river, the family quest began to develop and showcase the best of Nova Scotia wines – with Benjamin Bridge the imprimatur on every bottle. Gerry sought out Hans Christian Jost, who willingly shared his experiences with grape varieties, local growers, growing conditions and the many other factors influencing the wine industry in Nova Scotia. Recognizing he needed help to implement his vision, Gerry approached renowned Canadian wine consultants, Peter Gamble and his partner Ann Sperling, to advise on the shape the winery should take. With Ashley and Devon’s help, the first 5 acres were planted in 2001, with a focus on grapes for sparkling wines and aromatic white wines. At the recommendation of the Gamble/Sperling team, Gerry approached renowned Champagne expert Raphael Brisebois to meet with them, tour Nova Scotia wine estates, and assess the potential for making world-class sparkling wines. Impressed with the potential, Brisebois agreed to consult and in 2002, the first experimental sparklings were made to assess terroir, varieties, structure and aromatics. More acres were planted, more experiments undertaken. 2004 was the coolest growing season in a couple of decades, yet the quality of the grapes met Brisebois’ exacting standards – and this vintage later became the winery’s inaugural release. And the risks that the Benjamin Bridge team was willing to take opened the door for other Nova Scotia wineries to pursue a sparkling wine program. The Benjamin Bridge estate sits at the relatively sheltered, narrow head of the Gaspereau Valley, a mere 4 kilometres from the Minas Basin. At the heart of a cool, maritime climate, the valley benefits further from the massive tidal shifts in the Minas Basin, which bring cool breezes and moisture to the vineyards in the summer, and create an open body of water in the winter that helps protect the more delicate vinifera varieties grown on the estate. The narrowness of the valley and its slight westward tilt mean that ambient temperatures can be up to 2C higher than other sites, providing more degree days for optimal ripening. While this is a region of high rainfall, the autumn tends to be dry, causing stress in the vines which leads to better development of chemical components that enhance flavours. Fall temperatures extend the growing season, maximizing the aromatic intensity and the bright acidity of the grapes. The young alluvial soils include deposits of sand, gravel, pebbles and cobbles, unlike the Champagne region, where chalk is dominant. However, at deeper levels, there is a layer of clay veined with sand and gravel that provides a water-holding capacity similar to the chalk found in the Champagne landscape. This is, however, a cool climate that challenges growers on a regular basis. At times, humidity in the evening can reach 100%, so downy mildew is a key challenge. And the uncontrollable weather is a major factor. For instance, the extreme cold of the winter of 2006 meant a minimal harvest of the vinifera grapes – there was no classic sparkling wine made during that vintage. After a long search, Jean-Benoit Deslauriers (in above photo left with Gord McConnell– credit Chronicle Herald) )was hired in 2008 to join the winemaking team – he is now head winemaker. Jean-Benoit had prior experience with organic and biodynamic viticulture and winemaking in Chile’s maritime-influenced Casablanca Valley, as well as in Monterrey, California, where cold Pacific Ocean currents have a significant influence on growing conditions and create ideal conditions for growing Pinot Noir and Chardonnay. In 2009, Dara had wound down her legal practice and was taking on responsibility for the development and operations of the winery, working closely with Jean-Benoit. But a crushing blow occurred with her terminal diagnosis in that year. Ashley and Devon were just completing university, and rushed back to the estate to be with her. Dara transferred as much knowledge as possible to them prior to her untimely death in the fall of that year. The twins took on the role of partner with Jean-Benoit as the winery prepared for the 2010 release of its inaugural Benjamin Bridge Méthode Classique sparkling wines, the 2004 Brut Reserve and the 2004 Blanc de Noirs. In 2011, Ontario had its first opportunity to taste a Benjamin Bridge wine – Nova 7 was made available for a private tasting in the spring of that year, and that is when I first learned of this Nova Scotia winery. The room was buzzing as we tasted this unknown wine – winemakers from across Canada couldn’t wait to taste it, amazed at the unique flavours and texture, the quality of the wine. I was delighted to see it released by LCBO Vintages in August, where I reviewed and rated it at 4.5/5. But more accolades were to follow, with an outstanding review of the 2004 Méthod Classique Brut Reserve from Beppi Crosariol of The Globe and Mail, who described the wine as ‘a sparkler that rivals Champagne.’ More accolades followed and, as they say, the rest is history . . . But not really, because Gerry, Ashley, Devon and the Benjamin Bridge team will never be satisfied with the status quo. While their sparkling wines often spend 5 or more years on the lees, they continue to experiment with other methods of achieving the distinctive creamy texture and richness of the wines, as an example, testing the use of neutral oak with some small batches to see if aging in this medium will produce comparable texture and richness. Viticulturalist Scott Savoy, who joined the team in 2015, is working with Chris Westcott (who stayed on as vineyard manager after the McConnell-Gordon family bought his farm in 1999) to push the limits of viticulture in the valley. They have implemented a program of high-density planting that should allow them to crop less, while giving the vines the opportunity to ripen wood and set reserves (making them sturdier and more resistant to climate extremes). They recently purchased the vineyard of Dr. Al McIntyre, who had been one of their principal growers, providing Chardonnay and Cabernet Franc grapes. While they currently have almost 70 acres planted to vine, their goal is to expand that to 90, with the majority being vinifera plantings. As Ashley says, “It’s a never-ending process of experimentation, risk-taking and incremental change, with the goal of delivering world-class wines that showcase Nova Scotia’s winemaking potential.” Enjoy this unique opportunity to sample the clean, fresh taste of Nova Scotia, brought to you by Benjamin Bridge and the McConnell-Gordon family! In photo: Devon and Ashley walking with Jean-Benoit. Savour this unique opportunity to sample 3 classic & unique Benjamin Bridge wines from Nova Scotia – the Méthode Classique Sparkling non-vintage presents a blend of wines from vintages reaching back to 2002, with extended periods of time on the lees; the Tidal Bay appellation wine gives you an opportunity to taste the quality of a blend that includes hybrid grape varieties; the Riesling displays the classic features of a grape variety that thrives in a cool climate. This sparkling brut is made from a proprietary blend of wines crafted from l’Acadie Blanc, Vidal, Seyval, Pinot Noir and Chardonnay grapes. They were all hand harvested from the Benjamin Bridge estate, while the wine spent extended time on the lees (winespeak: on yeast) to achieve the classic creamy texture and richness that characterizes this ‘house’ style. Sommelier Tasting Notes: This harmonious blend of vintages and grapes shows lifted aromas of pear, citrus, biscuit, fine herbs and mineral. Underpinned by an expressive honed acidity, its ebullient, creamy texture is accented by the fine, persistent mousse. Refreshing flavours of lemon cream biscuits, grapefruit and lemon zest mingle with subtle notes of sour cherry and green apple. Dry, mid-weight, with a long-lasting slightly pithy finish, this is an impressive signature wine from Benjamin Bridge. Suggested Food Pairings: Sparkling wine offers such versatility – serve it chilled to whet your guests’ appetites, pair it with a range of appetizers, especially fresh seafood, or enjoy it with poached salmon, grilled white fish, or a chicken Caesar salad. Cellaring: Enjoy now and cellar up to 10 years. This wine is a blend produced from unique hybrid grapes (l’Acadie Blanc, Seyval and Geisenheim) known for their resistance to the challenging climatic conditions in Nova Scotia. Wineries across the province producing this wine must meet specified blending requirements: l’Acadie Blanc (the signature grape of Nova Scotia) being the majority grape for the blend, and go through a rigorous technical assessment. What is L’Acadie Blanc? It is a Canadian hybrid created in Niagara in the early 1950s by crossing Cascade with Seyve-Villard grapes. While the residual sugar in the wine is relatively high, the vibrant acidity assures that the wine tastes dry. Savvy Sommelier Tasting Notes: Displaying an exotic, pungent nose of earthy mineral, tangy citrus and ripe stone fruit, the clean flavours of this light-medium bodied wine are framed by vibrant acidity. The taste of grapefruit, passionfruit and crunchy apple paired with fine mineral and saline qualities really freshen up your palate. Suggested Food Pairings: You’ll enjoy this bright, lively Nova Scotia classic wine with a goat-cheese and asparagus quiche, fresh oysters or shrimp, or with pan-fried halibut with a lemon-caper reduction. Cellaring: Ready to drink now and cellarworthy for a further 5 years. This is the very first commercial release of a Riesling from Benjamin Bridge. The grapes were sourced from three distinct vineyards on the Bay of Fundy, each lot bringing its unique character from its own microclimate with soils ranging from gravel and clay to deep, sandy loam. The wine is wild fermented, meaning that the indigenous yeasts from the vineyards initiated the fermentation of the wine. Low in alcohol, with a relatively high residual sugar that gives it a nice fruity finish, it nevertheless showcases the cool climate with its clean fresh texture. Savvy Sommelier Tasting Notes: The ocean and the land blend on the nose, notes of mineral, sea breeze, quince and citrus dominating. Dry on the palate, the first impression is of the silky texture, quickly followed by the bright acidity underlining the lively flavours of citrus, green apple and mineral. The finish is long and zesty, crisp and clean like a bite of a ripe green apple. Suggested Food Pairings: Pair this wine with smoked trout or salmon canapés or salad, with stuffed pork tenderloin, or with chicken in all its manifestation. Cellaring: Enjoy now or over the next 5-7 years. Consider preparing these 3 appetizers and inviting a few friends to sample all 3 of these fabulous Benjamin Bridge wines at your own cinq à sept. If you and friends find some new favorites, call the Savvy Team to order more for you. . . Cheers! In medium bowl, stir together oil, vinegar, mustard, garlic, thyme, salt & pepper. Add mushrooms & shallots; toss to coat. Place in single layer on parchment paper-lined rimmed baking sheet. Roast in 400F oven for 10-15 minutes or until mushrooms soften. Let cool & slice mushrooms. (You can slice the mushrooms first if you wish & roast for slightly less time). Meanwhile, on lightly floured surface, roll out pastry into 10X12” rectangle. Place on parchment paper-lined baking sheet. Fold dough edges over ½” and crimp with fork. Prick dough inside border every ½”. Bake for 15 minutes or until lightly browned. Gently flattening baked pastry if necessary, top with mushroom mixture, leaving any liquid behind. Scatter Brie on top. Bake for 15 minutes or until golden brown & cheese is melted. Let cool for 10 minutes. Sprinkle with parsley. Cut into pieces. Serve warm or at room temperature with a frothy glass of sparkling! In a small, shallow dish (about 1 ½ C) capacity, preferably straight sided, arrange the 6 pieces of goat cheese in one layer. Don’t worry if some of the cheese pieces crumble; just tuck them into the dish. Sprinkle the lemon zest, sun-dried tomatoes, capers & thyme over the cheese. Sprinkle a little of the sea salt over the cheese & tuck the rosemary sprigs into the dish. Pour the olive oil over the cheese so it just covers it (use a little more if necessary). Let the cheese marinate in the refrigerator 2-6 hours (you can serve it sooner if you wish). Bring the dish to room temperature (about 45 minutes) before setting it out with a small hors d’oeuvre knife & a plate of crostini or crackers. 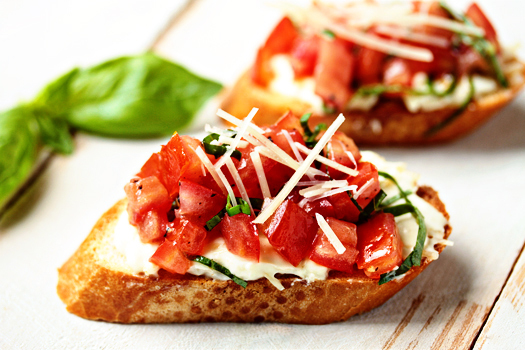 Spread a teaspoon or so of the cheese (with some of the marinade ingredients) over a crostini or cracker to serve. In a medium mixing bowl, whisk together the eggs, mayonnaise, mustard, ¾ tsp Old Bay Seasoning, tarragon, onion & celery to make a dressing. In a large mixing bowl, toss the bread with half of the dressing, mixing until the dressing is absorbed by the bread and the cubes are slightly broken up. Add additional dressing if the cubes are too dry. Gently mix in the crab, being careful not to break up the lump pieces. The mixture should hold its shape when formed into a ball with your hand. If it is too dry, add additional dressing until the mixture comes together. You might not use all of the dressing. Divide the mixture & form into 8 crab cakes. Place the cakes on a greased cookie sheet or sheet pan. In a small bowl, stir the butter together with the remaining ½ tsp Old Bay Seasoning. Top each cake with a small dollop of the seasoned butter. Bake cakes until golden brown, about 10-12 minutes. Serve warm. To get to the tasting room where this delicious Rosé wine and other wines made by our friends at Kacaba Vineyard, you have to cross what’s known as a Bailey Bridge—a truss bridge invented by the British and first used by tanks to cross the treacherous terrain of battlefields during the Second World War. Ideas of battles disappear when you see the rolling hills of vineyards and the wrap around deck that awaits. Savvy Sommelier Tasting Notes: The 2016 Rebecca Rosé is a unique blend of Gamay Noir, Cabernet Sauvignon, Syrah and Riesling. It glows with a brilliant raspberry-ruby hue in the glass, while aromas of strawberry jam and spring flowers swirl through your senses. Full bodied, it makes you hungry…and thirsty for a picnic. Suggested Food Pairing: Croque Monsieur with grainy mustard, or straight-up grilled cheese. But go gourmet with some creamy Brie or a nutty Gouda. For something really neat, here is a Whipped Feta, Watermelon & Radish Salad recipe. Feta and watermelon is a winning salty-sweet combo. Be sure to rinse and press your feta before whipping otherwise your feta will liquefy—the finished whipped cheese should have a deli cream-cheese-like consistency. Drain feta from brine if necessary and rinse under cool running water. Line a plate with several layers of paper towel, top with feta and weigh down with another plate topped with a can. Refrigerate for 1 hour. Crumble and combine in a food processor with cream and 4 tbsp (60 mL) olive oil; process until smooth. Add up to 2 tbsp (30 mL) oil, if necessary, to achieve a thick spreadable consistency. Soak daikon in a bowl of ice water while preparing the remaining ingredients. Whisk together olive oil, lemon juice, dried oregano and pepper. Lightly season with salt (feta is salty). Cut watermelon into irregular 1 to 1½-inch (2.5 to 4-cm) chunks. Spread an equal amount of feta out in a scant ½-inch-thick (1 cm) layer on six small plates. Divide watermelon between plates. Drain radish and pat dry with paper towels; toss with half the dressing and top watermelon portions with an equal amount of radish. Divide remaining dressing between plates and garnish each with chili and oregano leaves. Pack in a picnic & enjoy! Not labeled as a Rosé, but this white wine has a pink tinge – on purpose! Pinot Gris grapes are naturally cooper coloured when fully ripened and the winemaker at Legends Estate Winery in Niagara kept the grape skins in contact with the juice after the crush and magically the colouring happened to give it a lovely copper colour in the finished product. So it looks like a Rosé, but it is a white wine. Confused? Trust us…you’ll like it! Savvy Sommelier Tasting Notes: A well balanced wine with aromas of freshly baked bread on the nose, hint of Earl Grey tea & reminders of clotted cream & fresh strawberries. Can you find any of this when you swirl & sip on this dry wine? We discovered this wine last year and were so excited that there is still more available so we can enjoy it this summer too. Another Savvy discovery! Suggested Food Pairing: Roasted whole chicken, seafood, fish or try with the Classic Bruschetta recipe that we have included. Allow to stand for several hours to marinate. Slice bread at an angle, brush one side with olive oil, and broil on each side until brown. Best when served immediately to avoid getting soggy. Ingredients may be adjusted depending on your taste. Mix diced tomatoes (juice and all), minced garlic, olive oil, lime juice, 3/4 cup Parmesan cheese (keep the rest for later), basil, and salt and pepper (to taste). Spoon mixture onto bread, and top with reserved Parmesan. Broil until cheese has melted. Enjoy! One of the first wineries in Prince Edward County, Casa-Dea Estates Winery is making a big impression with this sparkling rosé wine. Just released, this bubbly can be enjoyed on any occasion – picnic, Happy Hour, or stash away for Thanksgiving (if you have to!). For exactly this reason we included it in this month’s Deck Party Pack. Savvy Sommelier Tasting notes: Pretty in the glass, it is refreshing, bright, and reminds us of summer…all throughout the year. Light aromas of strawberry and juicy peaches, the acidity of this wine makes is perfect to start any occasion. Suggested Food Pairings: Chips. Delicious Spiced Sweet Potato Chips. The salt plays with the bubbles of the wine and fireworks start off in your mouth. Try it! Slice potato into very thin slices using v-slicer mandoline. Spray 2 baking sheets with cooking spray. Arrange potato slices on the baking sheets in a single layer. Coat slices lightly with cooking spray. Bake for 7 minutes, or until barely starting to brown. Turn potato slices over and return to the oven. Bake until lightly browned, about 7 to 10 minutes more. Transfer finished slices to a bowl and repeat with remaining slices, if necessary. Meanwhile, in a small bowl, combine the cumin, sugar, chili powder, and salt. Pour spice mixture over chips and toss well before serving. Devil’s Wishbone Winery is the home of this delicious 2016 Pinot Gris Rosé along with many other amazing wines. Look at a map of The County & you’ll see the distinctive wishbone shape where the Bay of Quinte and Adolphus Reach meet at Picton. The “devil” part of this winery’s name comes from the poor soil quality in the area, where early settlers found it nearly impossible to grow anything. Yet winery owner Paul Gallagher researched that the clay and limestone mixed soil is perfect for growing vines. Savvy Sommelier Tasting Notes: A colour that reminded all of our Sommeliers of a Ballerina-tutu (!) with an airy nose of fuzzy peaches, wild strawberries and maple sap. Slightly off-dry and juicy with a pleasant, refreshing summertime quench. Absolutely delicious! Suggested Food Pairing: This wine has a hint of sweetness that will sing alongside this mouthwatering Crunchy Thai Salad with Peanut Dressing which will be your new vegetable obsession! Each bite packs a powerhouse of fresh superfoods all in one bowl. In a large bowl, add all salad ingredients except peanuts; kale, cabbage, bell pepper, carrot, mango, cilantro, mint, and onions. Set aside while you make the dressing. In a blender add all peanut dressing ingredients; peanut butter, lime juice, honey, vinegar, soy sauce, sesame oil, sriracha, ginger, garlic, and water. Puree until smooth and combined, about 1 minute. You can also whisk the ingredients together in a medium-sized bowl. Add more water if needed to thin out the dressing if desired. Season with salt and pepper as needed. Gradually add enough dressing to coat the salad, toss to combine. Drizzle with more dressing if there is any remaining, top with freshly cracked bell pepper and roasted peanuts. Enjoy! You’ll know you’ve found the right place when you see the giant fork standing among the vines at Good Earth Food & Wine Company. And it may not even be big enough, if you want to try everything here….enjoy a meal at the bistro set amongst the vineyard or take part in a hands on cooking class – life is good! Savvy Sommelier Tasting Notes: An interesting petal-soft texture of this wine makes summer sipping even more enjoyable. The medium to full bodied flavours of fresh sweet red berries, watermelon with a dash of floral and crisp acidity that balances out every sip. This is one of Huff Estates’ signature and most popular wines. Rosé and wine lovers clamor for it every year – Savvy Team included! Made with 100% Cabernet Franc grapes grown in The County, there is the regional characteristic of minerality & crisp acidity that makes this a class act wine. Travel TIP: If you are heading to Prince Edward County this summer, plan to visit Huff on Sunday when they have live jazz performers playing on the el fresco patio overlooking the vineyard. Sommeliers Tasting Notes: This refreshing wine is bone dry with a light pink hue that resembles classic Rosé wines from Tavel, France. Two words: Pink Grapefruit. Added to that, light floral notes with more citrus (think lime or mandarin) to create a well-crafted refreshing balance. Now that you’ve been tipped off about this wine, you’ll be on the lookout for it each year. Food Pairing suggestions: Serve chilled on its own to unwind, with sushi or pack for a picnic. Below we have included the Lemon Orzo with Baby Spinach and Feta recipe to make for your next picnic. Cook orzo according to package directions. Drain and rinse under cold water to stop the cooking. Toss with 1 tablespoon olive oil. Reserve. Heat a large heavy bottomed, wide-surfaced sauté pan, until very hot. becomes dry. Reduce heat to medium-low, add garlic and continue to cook for another 20 minutes until golden. caramelized onion and garlic mixture. Can be made 2 days in advance. Keep refrigerated until serving. Care for a round of bocce? If you’re travelling to The County (aka Prince Edward County that is) this summer, stop by Casa-Dea Estates Winery and try your hand at Bocce – an Italian version of lawn bowling – on the pitch right beside Casa-Dea’s vineyards. The game is made even better with a chilled glass of Rosé playing along side with Casa-Dea’s cool winemaker Paul Battilana. He has a competitive streak! Suggested Food Pairing: Try with yummy BBQ Pork Burgers – recipe below. In a bowl, whisk together the mayonnaise, milk, and vinegar until smooth. Toss in the cabbage, carrot, chives, and salt and pepper to taste and gently mix to coat. Let the slaw stand at room temperature, uncovered, while you cook the burgers or, if you prefer your slaw crisp, cover it and refrigerate for up to 8 hours. Prepare your grill for direct-heat cooking over medium-hot charcoal or medium heat for gas. In a small bowl, stir together the barbecue sauce, cayenne, 1/4 teaspoon salt, and vinegar. In a large bowl, gently mix together the pork, the remaining 1/2 teaspoon salt, pepper, and 2 tablespoons barbecue sauce mixture until combined. Do not over mix. Using your hands, gently form the mixture into 4 patties, each about 4 inches in diameter and 3/4 inch thick, being careful not to pack the pork too tightly. Carefully slick the grill rack with oil, plop the burgers on top, and grill them, flipping the burgers every few minutes, just until cooked through and no trace of pink remains, 6 to 10 minutes total. Then brush the top of each patty with 1 tablespoon remaining barbecue sauce mixture (or more if you like things mess), flip the burgers again, and grill for 30 seconds. Repeat, so that both sides have been slathered with the barbecue sauce mixture. Brush the cut sides of each of the buns with the remaining barbecue sauce mixture. Assemble the BBQed pork burgers, starting with the buns and the burgers and adding a heaping spoonful of coleslaw atop each one. Don’t forget to grab a lot of napkins.